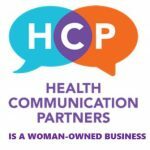 You’ve seen me talking about patient education quite a bit around here, on the podcasts and in the articles. And sure, maybe you have a bunch of past CMEs on patient education cluttering up your cloud storage right now. It’s kind of the modern equivalent of the dusty binders on the shelf. I’m not immune. True story: this morning, I tried to download a 900+ page book…that I had already downloaded. Almost 2 years ago. Oops. Another great resource that I tell myself I’m going to use, but soon forget about. If you read this site or listen to my podcast, it’s because you are a reflective practitioner. You are thinking carefully about how you provide care to each individual person—and also about larger issues in the field. Now, I know that you want to improve your patient education, because you’ve told me. You know that telling a patient something is not the same as teaching a patient something. You know how much patient education matters to outcomes, short-term and long term. You want to get through to every patient, not just some of them. And you don’t have time for another ‘dusty binder on the shelf’ of your professional life. That’s where my quick audiobundle, Effective Patient Education, comes in. For about the price of dinner, you could change the way you think about your patient education. 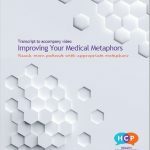 No matter how much time each day you spend in patient education, no matter how you currently ‘do’ patient education: in this audiobook, you will find something to make that education more effective. In short, it’s world-class research that’s easy-to-access. It’s an audiobook, an ebook, and exclusive supplementary materials. No dusty binder here. Even making modest changes can begin to show you what improving patient education can do for your patients, and for your relationship with them. Listen to the audiobook during your commute, or while catching up on stuff at home. Or read the ebook that comes with it. Pass the supplementary materials around to your colleagues. 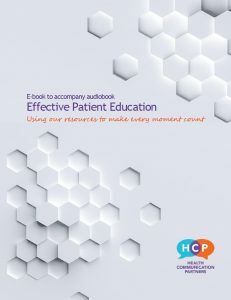 Whether patient education is most of what you do in a day or not, the Effective Patient Education Audiobook Bundle may change the way you think about patient education.